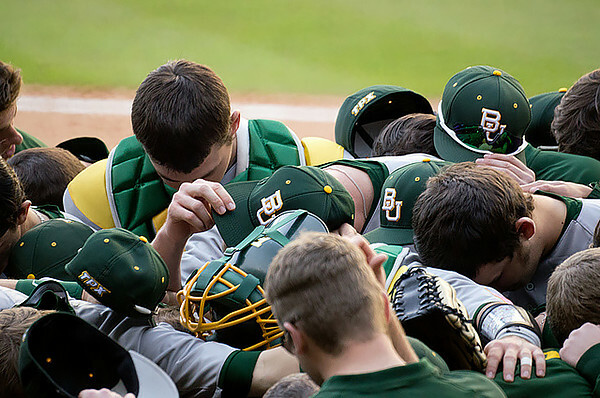 Baylor University Baseball players pray before the Astros Foundation College Classic in Houston, TX, March 1, 2013. Photo by Flickr user “thatlostdog–.” Available via Flickr. Rebecca T. Alpert The following is an excerpt from Religion and Sports: An Introduction and Case Studies by Rebecca T. Alpert, published on May 2015 by Columbia University Press. Copyright © Rebecca T. Alpert, 2015. On February 2, 2008, Murray Chass, a New York Times sports columnist, wrote an essay entitled, “Should a Clubhouse Be a Chapel?” He was writing in response to a phone call he received from Josh Miller, a minor league umpire who had recently been released by Major League Baseball. Baseball rules require that umpires who are not likely to be promoted to the majors serve no more than three years in AAA ball. While Miller was disappointed, he finally felt free to contact the press about a situation that had disturbed him deeply. Miller felt he could not speak while working in professional baseball for fear that it would have been held against him when his work was being evaluated for promotion. Miller told Chass that as a Jew, he was deeply uncomfortable with Baseball Chapel. Miller explained that Sunday prayer services took place right before the game in the umpires’ dressing room. Often the chapel leaders held separate services for the umpires so they wouldn’t have to mix with the players. Miller didn’t want to be rude, he explained. Often there was no place else to go to do his pregame preparation. Even if he explained that he was Jewish, the preachers would still pray “in Jesus’ name.” Sometimes, other crew members would take offense if he left. “One umpire I worked with last year called me Jewie,” he told Chass, “and I said I wasn’t comfortable with it. It took a more senior guy to get him to stop.” Miller knew Chass was a sympathetic person to contact because of another incident involving Jews and Baseball Chapel that he had written about. In 2005, Washington Nationals player Ryan Church reported that he asked the volunteer chapel leader, Joe Moeller (who worked professionally as an FBI agent), if his ex-girlfriend, a Jew, was “doomed.” Moeller nodded. Church publicly responded: “My ex-girlfriend! I was like, man, if they only knew. Other religions don’t know any better. 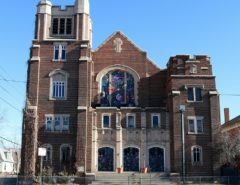 It’s up to us to spread the word.” Laura Blumenfeld of the Washington Post had reported Church’s comments as part of an article about Moeller and Baseball Chapel. A local Orthodox rabbi, Shmuel Herzfeld, was deeply offended. He organized a press conference and questioned whether “the locker room of the Nationals is being used to preach hatred.” Moeller was relieved of his duties by the Nationals, whose president, Tony Tavares, also apologized on Church’s behalf. The written statement said, “Those who know me on a personal level understand that I am not the type of person who would call into question the religious beliefs of others. I sincerely regret if the quote attributed to me in Sunday’s Washington Post article offended anyone.” Neither Moeller nor Baseball Chapel made a public statement, but local Christian clergy acknowledged that Moeller was simply assenting to a standard Christian belief that anyone who doesn’t accept Jesus Christ as their savior is putting themselves in jeopardy of eternal damnation. 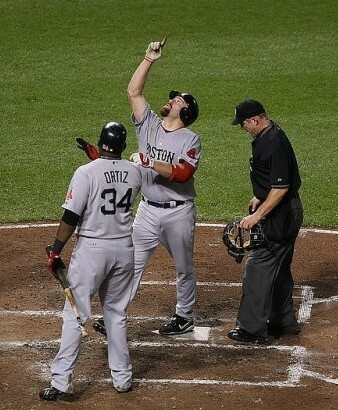 Boston Redsox player Kevin Youkilis, who is Jewish and had a Bar Mitzvah at a Conservative synagogue, points to God during a play, August 1, 2009. Photo by Keith Allison. Available via Flickr. Following up on the story, the Washington Post reported an exchange between Rabbi Ari Sunshine, leader of a Conservative congregation in Olney, Maryland and (Jewish) Baseball Commissioner Bud Selig. Sunshine wrote to Selig asking him to investigate Baseball Chapel and to explain why that organization is “the sole Christian ministry granted access” to all teams. In his letter, Sunshine pointed out that other Christian denominations don’t “emphasize ‘faith-based’ salvation to a degree that denigrates legitimate religious alternatives” and could make for healthier relationships. Sunshine suggested that rotating chaplains of various denominations, as is the practice in some other sports, would better honor religious diversity. The very next day, Sunshine received a reply from Selig agreeing that Moeller’s comments were offensive. The commissioner said he would review the relationship with Baseball Chapel, and Major League Baseball spokesman Rich Levin made that promise public. Three years later, Murray Chass reported that Selig had not responded to repeated attempts made by Sunshine and Herzfeld to find out what had happened to the review. Selig did, however respond to Chass in 2008. “‘I have to leave that up to each team,’ Selig said in an interview. ‘If players want to have that type of thing, they’re entitled to have them. I frankly think people are free to make that choice.’” While one might assume that as a Jew Selig would have been uncomfortable supporting the exclusive rights of evangelizing Christians, or at least would try to make it easier for a Jewish umpire to function in their midst, that clearly was not the case. Rather, Selig’s reaction fit the mold of a liberal American Jew for whom the first amendment’s promise of freedom of religion held the highest value. 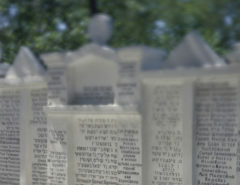 Like many Jews of his generation, Selig believes that freedom of religion is what makes America a safe place for Jews and feels he must uphold that value even when Jews are inconvenienced or made to feel unwelcome. And it would have been difficult for him to challenge the formidable organization known as Baseball Chapel. Since the 1970s, most major professional and collegiate sports teams in the United States have chaplains (including many who are paid for their services), whose roles resemble those of juju men in African football. While many of those chaplains are connected to evangelical organizations like Athletes in Action or the Fellowship of Christian Athletes, they may also be Catholic, liberal Protestant, Jewish, or Muslim. But the relationship of Baseball Chapel to professional baseball is unique. Beginning in the 1960s, teams like the Minnesota Twins and Chicago Cubs, in response to players who missed the opportunity to go to church before Sunday afternoon games on the road, held religious services for their players at their hotels. At that time, baseball clubhouses were dominated by players for whom drinking, cursing, and staying out late was the norm, and religious Christians found themselves in the minority and uncomfortable with the general atmosphere where they were sometimes teased about their beliefs. For example, two New York Yankees, Bobby Richardson and Tony Kubek, were often called the “milkshake boys” by their notoriously wild teammates. But in the 1970s a cultural shift occurred. With the help of broadcaster Red Barber, Kubek and Richardson organized Sunday prayer services for the Yankees, too. Seizing the moment, Watson (Waddy) Spoelstra (1910–1999) made a bold move. In 1973 Spoelstra (grandfather of Miami Heat basketball coach Erik) retired as a sportswriter with the Detroit News to devote his life to creating Baseball Chapel. He had not always been a religious man. In his earlier life he had been a heavy drinker. His conversion came in 1957 when his daughter miraculously recovered from a brain hemorrhage–induced coma. In gratitude, Spoelstra decided to dedicate his life to God. He continued his sports writing career, serving as president of the Baseball Writers Association of America in 1968, but became more and more immersed in religious life at the same time. He quit drinking and became active in his church. He was open about his faith, but his interests in religion and baseball never came together until the 1970s, when Spoelstra and Detroit Tigers announcer Ernie Harwell organized Sunday services for Tigers players in hotel rooms when they were on the road, modeled on the example set by the Yankees, Cubs, and Twins. Inspired to take the plan further, Spoelstra approached Bowie Kuhn, the baseball commissioner and a devout Roman Catholic, with his idea for what Spoelstra called Baseball Chapel. Kuhn gave Spoelstra official permission and $5,000. Spoelstra went into action. Within three years all 26 major league teams had Baseball Chapel, and by 1978 there was a program for every minor league team as well. Today, they serve the 210 major league teams and their minor league affiliates, Latin American winter leagues, and many independent teams as well. It was Spoelstra’s idea to move the services from the hotel to the ballpark where players would be more relaxed. The move also increased access and interest. He found local volunteers (often but not necessarily clergy) to coordinate and lead. The services were brief—fifteen to twenty minutes. Leaders introduce short prayers and give an inspirational homily. Bible reading is not included in the typical prayer service, but Bible study sessions were added later based on interest. Each team also had a player representative to coordinate with local Baseball Chapel volunteers in other cities. Spoelstra recruited future Hall of Famers like Hank Aaron and Reggie Jackson for the jobs. These prestigious players secured the reputation of Baseball Chapel. On most teams at least half the players began to attend regularly, and sometimes even a higher percentage of players are involved. 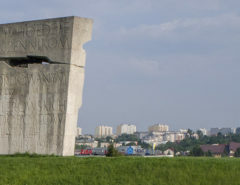 The organization continued to grow and develop. In 1982, Bowie Kuhn recognized Spoelstra’s contributions to baseball with the prestigious Commissioner’s Trophy. Spoelstra served as president until 1983. Bobby Richardson, former New York Yankee second baseman, followed him in that role, serving from 1984–1994. Richardson made closer connections between the organization and Athletes in Action. As a former player, he also increased the legitimacy of Baseball Chapel. In 1995, Vince Nauss took over as president. Nauss, a licensed minister, also has a degree in sports management. He worked for Major League Baseball under Bowie Kuhn, and as publicity director for the Philadelphia Phillies. 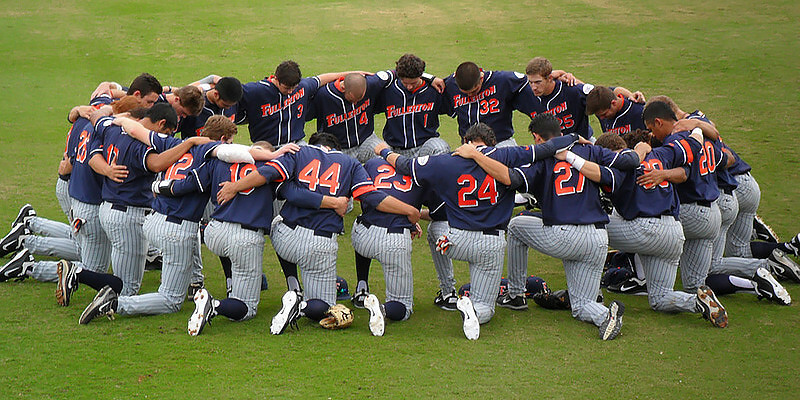 Baseball Chapel has six full-time staff. Given the percentage of players of Latino ancestry in baseball, two staff members devote themselves to Latino Ministries in the U.S. and Latin America. Two staff members are assigned to develop and train chaplains. Part-time staff members work on the ministries to umpires and two female staff members are assigned to work with players’ wives. Although attendance began to taper off in the twenty-first century, the Web site claims that they still serve approximately three thousand baseball personnel every year. With the exception of the Colorado Rockies, who have hired their own professional chaplain, Baseball Chapel is the only religious institution officially affiliated with professional baseball. Rebecca T. Alpert is Senior Associate Dean of the College of Liberal Arts and Professor of Religion at Temple University. She specializes in religion in America, and with a focus on sexuality and race and has published widely on Judaism and sports. She is the author of Like Bread on the Seder Plate: Jewish Lesbians and the Transformation of Tradition (Columbia University Press 1998), which won a Lambda Literary Award and Award for Scholarship from the Jewish Women’s Caucus of the Association for Women in Psychology. She also wrote Out of Left Field: Jews and Black Baseball (Oxford University Press 2011) and Whose Torah? A Concise Guide to Progressive Judaism (New Press 2008). “In Baseball Now More Teams Pray Before They Play,” Washington Post, September 18, 2005. Alan Cooperman, “Nats’ Church Apologizes for Remarks About Jews,” Washington Post, September 21, 2005. Alan Cooperman, “MLB Is Reviewing Baseball Chapel; Evangelical Group Concerns Selig” Washington Post, October 1, 2005. Karin Tanabe, “Is the Nation’s Favorite Pastime Pitching Jesus?” Moment 32.5 (October/November 2007): 38–45, 60–65, 69. Ari Sunshine, “It’s Time to End Baseball’s Religious Monopoly,” Washington Jewish Week, October 18, 2007. Quoted in Murray Chass, “Should a Clubhouse Be a Chapel?” New York Times, February 2, 2008. A biography of Spoelstra by Benjamin Hoak can be accessed at http://www .worldji.com/resources/view/45. Baseball Chapel declined permission to include an image of their logo in this book, but you can find it and much more information about the organization at www.baseballchapel.org. Hank Hersch, “The Gospel and Gaetti,” Sports Illustrated, August 21, 1989. Daniel Okrent, Nine Innings: The Anatomy of a Baseball Game (Boston: Houghton Mifflin, 2000), 95.  www.baseballchapel.org.